The MPSI Psychotherapy Center offers low fee psychodynamic psychotherapy to people unable to afford mental health care. 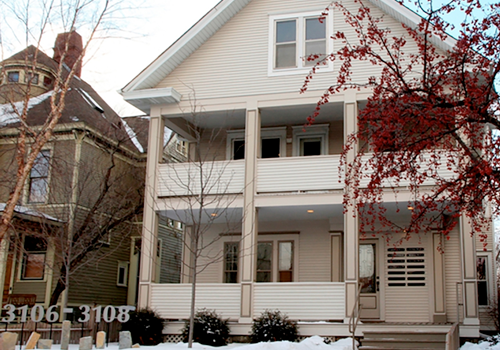 Founded in 2009, the Center is a division of the Minnesota Psychoanalytic Society and Institute (MPSI). MPSI is a 501(c)3 not for profit educational corporation. The Center serves approximately 125 patients a year and provides more than 2500 hours of direct service. As part of our commitment to offer effective therapy, we have undertaken an ongoing study of patient improvement based on the OQ-45. The OQ-45, is a widely used instrument for assessing patient distress and level of functioning. Patients take the OQ45 at intake and every 3 months. The data we have accumulated demonstrates a statistically significant reduction in symptoms from intake through completion of treatment. Unlike short-term, symptom focused therapies that rely on cognitive and behavioral strategies, psychodynamic psychotherapy adds three important dimensions to help patients. These include attention to early childhood experiences, attention to how difficulties from the past are repeated in the present and attention to how much of what the patient thinks and does is out of awareness (unconscious). For example, a patient with a history of emotional abandonment or parental loss may unconsciously find themselves in adult relationships in which fear of being left permeates every aspect of their relationship or they may unconsciously choose relationships where they maintain emotional distance to protect against the trauma of being left again. Developmental history and early trauma, the repetition of the past in the present, and the presence of unconscious forces shaping life choices are all addressed in psychodynamic psychotherapy. In addition, the psychodynamic psychotherapist expects that their patient’s difficulties will play out in the patient-therapist relationship. For example, a patient who experienced relentless criticism when they were young and defenseless may hear the therapist as critical when she/he is not but feel and react just as they did in childhood. This repetition in the treatment relationship called transference brings the patient’s core problems to life in the treatment setting where they can be experienced in all their emotional intensity and where they can be worked through so that the patient can live a more vital and happier life. Each Fall the Center accepts six to seven Fellows/Interns who, in return for an immersion in psychoanalytic thinking and practice, provide psychotherapy to the patients we care for. As part of our program, Fellows/Interns participate in a year of classes in the MPSI Psychoanalytic Psychotherapy Training Program (PPTP), and receive intensive supervision including two hours of group and two hours of individual supervision per week. One of the individual supervision hours is with a MPSI volunteer drawn from the ranks of MPSI professionals with extensive psychoanalytic training and years of experience. We are grateful to these volunteer supervisors for the significant contribution they make to the professional and personal development of our Fellows and Interns. Their generous support as well as our reliance on student interns and unpaid staff are major factors in keeping our costs low and enables us to devote most of our resources to offering low cost therapy. The Center receives referrals from many sources including agencies and community organizations serving the poor and marginalized. Referrals also come from therapists who are aware of patients who would benefit from a psychodynamic approach and need low fee care. Appointments can be made by calling 612-824-3800 and leaving a message with name and contact information. The therapist on intake will call back, typically the same day. The Center is conveniently located in Uptown at 3108 Hennepin Avenue South and is easily accessed by public transportation. For more information about the MPSI Psychotherapy Center contact Hal Steiger at steiger.hal@gmail.com or Bev Caruso at bevcaruso@gmail.com.